Modern Marble Fruit Collection Apple and Pear. 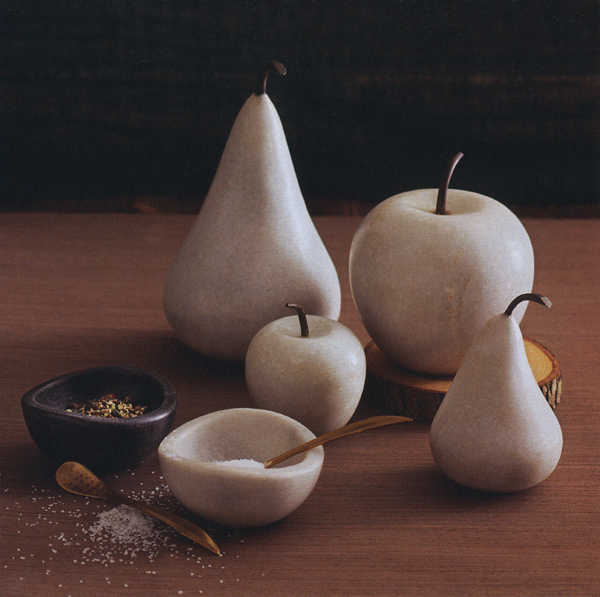 Our sculptural and highly decorative apples and pears are fashioned from smooth white marble and are topped with forged iron stems. Add an instant decorative touch on a desk, tabletop or mantel. Price is for 1 (one) piece, not the complete set. Material: white marble, forged iron.